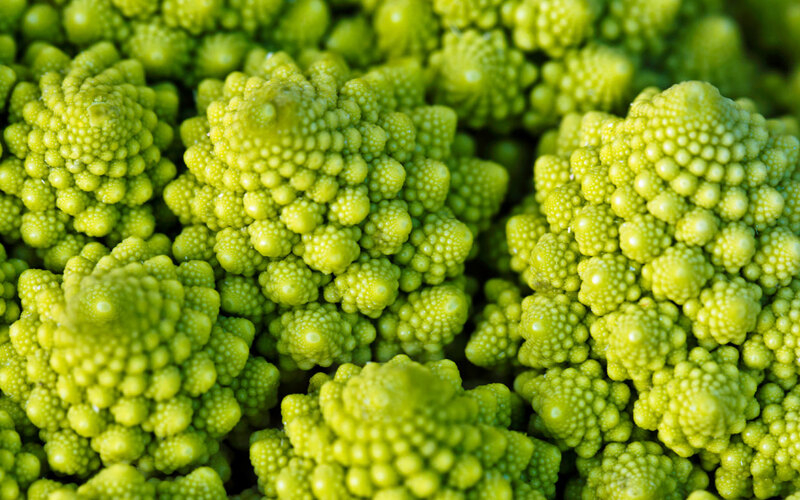 Fractals, shapes that look similar to their parts no matter how much you zoom in, are everywhere from broccoli to seashells. Now, a new study of an old physics problem has found more: Electrons inside some conductive materials may be hopping around atoms in fractal patterns. "What we finally found is a sort of a proof that this energy landscape looks funny," said co-author Brian Skinner, a physicist at the Massachusetts Institute of Technology in Cambridge who studies the movement of electrons. A material only conducts electricity when its electrons travel from end to end. In the 1960s, British physicist Nevill Mott studied how electrons sometimes need a kick of energy to hop around. He found that materials called semiconductors could be full of extra electrons that act as randomly-placed energy barriers, making it hard for the electrons to move around and rendering the materials less conductive. Mott’s theory suggests that a traveling electron is like a hiker conquering a mountain range. The extra electrons repel and slow down the hiker: they’re like mountains it has to cross. So it needs extra energy, usually heat, to hop up and past the peaks. In 2012, Skinner noticed miniature semiconductors called quantum dots conducted electricity a tiny bit better than Mott’s research predicted. "We didn’t make a big deal about it at the time," he said. Other experiments over the last few years saw the same effect. So, in 2015, he and his colleague set out to discover why. "Resolving that was kind of tricky," he said. "I just spent a lot of time pacing up and down the hallway, trying to come up with the right argument that would explain what was happening." They programmed computer simulations of electrons moving at different temperatures through a special type of semiconductor. The simulations confirmed a strange, slightly high conductivity, and Skinner realized the electrons had to be finding shortcuts around the mountains. He came up with equations for those shortcuts. They resembled a new type of fractal, much like a pattern of lightning called the Lichtenberg figure that resembles a branching, tree-like shape. The team went back to the simulations and the math checked out. The fractal structure is "kind of surprising," said Alexei Efros, a retired physicist at the University of Utah in Salt Lake City and teacher at the Academic University of St. Petersburg in Russia. He was not involved in the research, but after Mott, he was one of the first to study the mechanism, known as hopping conduction, between 1960 and 1980. Yuri Galperin, a physicist at the University of Oslo in Norway who studies hopping conduction and was not involved in the research, feared computing power limited the simulations. "It’s probably true," he said, "but in my view it’s not complete." The paper appeared on ArXiv.org in June and has been accepted for publication by the American Physical Society's journal Physical Review B. For now, it's unclear what applications the new insight may yield. That's because an electronic device that relied on hopping conductivity would be a poor conductor. Most modern electronic devices try to take advantage of metallic -- not hopping -- conduction, where there are no similar barriers impeding electrons. But Skinner still believes understanding the mechanism is important, in part because it is occasionally used in next-generation electronics experiments or even laptops and cell phones. "I kind of find myself fighting this bias where people feel like, oh, that field is dead, and it's not so interesting," Skinner said. "I have to be like, no, no, no, it's not the same. There's something really interesting here."